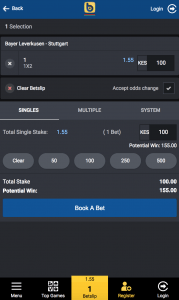 Betin Kenya Mobile - All you need to know about this betting.. 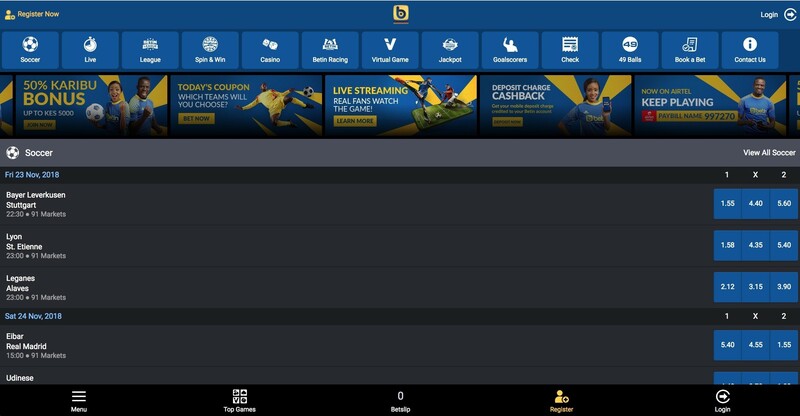 If you are just entering the world of sports betting, you may have heard of Betin mobile before. In Kenya, the betting business has a cult-like following – and many betting companies have taken notice of this, with many setting up shop in the country. Sportpesa is the most famous one, but there are several others that have taken a share of the market, and among them is Betin mobile. Tracing its founding to just a few years ago under the official name of Gamcode Ltd., Betin Kenya mobile is among the most successful betting and gaming companies in Africa today. It has a license under the Betting Control and Licensing Board of Kenya (BCLB). The company has a significant footprint in the country, as the number of active users averages more than a million every month. However, it bears a significant difference to other betting websites and platforms in the country. Unlike most of them, it does not take a specialist approach and offering only one or two sports. But it has diversified its offerings and gives you a chance to place bets on casino games, sports betting, roulettes, and many others. The target of the company is specifically Kenyans who enjoy mobile and online sports betting, and is one of two ‘Afrocentric’ Betin platforms – the other being Betin Uganda. In the world of betting overall, Betin is a major bookmaker. Their parent company is Gamcode Ltd., which has a license from the Betting Control and Licensing Board of Kenya as Logispin Group. The founding of the company in Kenya traces back to 2013, and it has managed to create a strong impression despite the stiff competition from other betting companies. It is interesting to note that Betin Kenya is a part of the GoldBet Group of companies, the biggest betting operators in Europe, which covers several betting brands across Europe and Africa – including Bet9ja from Nigeria and Betin mobile. The Betin gambling platforms provide its customers with both offline and online betting shops. Some of the available football leagues include Premier Soccer League in South Africa, the EPL (English Premier League), Ykkonen and Kakkonen from Finland, Major League Soccer from the US, Brasileiro Serie A from Brazil, and Super League from China. When you are betting, you can choose to make multi-bets (these cover a variety of events), single bets (which centre on a single game), or system combined bets (allow you to combine different sports in one bet, such as tennis, basketball and football). If you want some extra action though, you can choose to participate in a live betting session that allows you to place bets on continuing events – the only difference is that the odds keep adjusting based on the action of the actual event. Kenya is an interesting market as not many bookmakers offer bonuses to their users. However, Betin mobile Kenya is an exception, as you can easily use the code MAXBONUS to get a welcome bonus once you sign up – the service is even available on the mobile Betin platform. Signing up is an easy process. All you need is proof that you are over 18 years and a means of depositing the money. On the website’s top right corner, there is a ‘Register’ button that allows you to sign up and enter your personal details. Before you finish, it is worth noting that the platform will give you the option of inserting promotional codes if you have them, before making the initial deposit. Thankfully, thanks to the vibrant M-Pesa system, it is very easy to deposit money to your account through your mobile phone as soon as you open an account (the specific pay bill number is 997270). 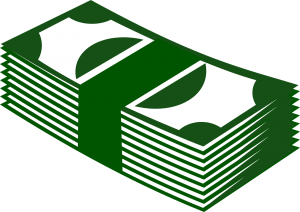 Once you make the deposit the money, you will get 50 per cent of your deposit as a welcome bonus. Before you claim the bonus, you must play your whole deposit amount in either multiple or single bets using odds of 3.00 or greater (you can do this in any sports market). The minimum amount you can deposit is KES 300, and the Karibu Bonus can go up to a maximum of KES 5,000. The bonus is then credited within 72 hours of you claiming it. This is mainly on multiple bets that have at least five selections of games included. The bonus will begin from 5% of your potential winnings, and the more events you have, the more it will increase by the same margin on your betting slip. The odds must be at least 1.20 for it to qualify for the bonus, and the more events you have, the larger your boost gets. Keep in mind that Betin Kenya mobile is a per cent Kenyan online betting site, so its services will be geared towards Kenyans first. That means the main currency it accepts is the Kenya Shilling. That approach is different from the other betting sports websites that are ‘Kenyan friendly’ and accept Kenyan players, but they do not offer KES among their currencies, instead of making Kenyans place their bets in US Dollars, Euros or Pounds. What also makes this platform great is that it supports a wide variety of betting lines from different countries in the world, but the most prominent market it has is soccer or international football because it is so popular in the country. You are therefore guaranteed to find an impressive selection of football leagues from Africa and even beyond. The design of the website is user-friendly, as all the processes have their users in mind and seek to ease their process of cashing out and depositing money. Regardless of whether you are new to betting or highly experienced within the scene, you will notice that it is easy to understand everything that is happening as well as signing up. The website itself has a simple blue and white color scheme. The sports lists are on the left side of the homepage and are easy to scroll, while the main screen is mainly for the live betting functions. On the right side, you will find your betting slip, which operates in a similar way to a shopping cart on an e-commerce site. 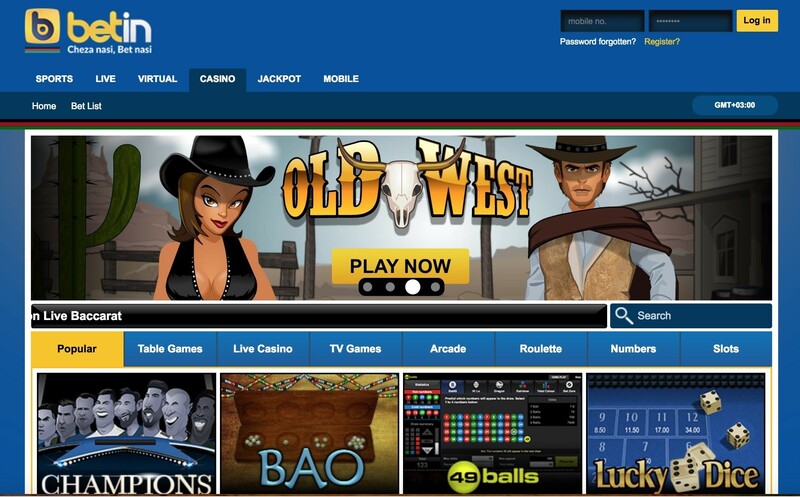 The site will calculate your net profits, and display them automatically once you insert your bet amounts. The company has also made it easier for their clients to access the site, thanks to giving their clients a comprehensive mobile betting platform. Whether you have a feature phone, an iPhone or an Android phone, you can quickly withdraw, bet and deposit your money. One interesting aspect to note is that the website is completely mobile friendly. Due to the high penetration rate of mobile phones in Kenya, almost 90 percent of all betting activities on Betin and downloading of the app is done on mobile phones or tablets. It can also be accessed easily, as long as you have a Wi-Fi, 3G, 4G or LTE connection to the internet. The mobile Betin app is therefore a simpler way of accessing your account. Because the mobile money transfer service M-Pesa is the major method of transaction in Kenya, it is understandable that this is the only way to make a deposit on the site. The telecom networks Safaricom, Airtel and Orange have their own money transfer platforms, which you will then use to deposit money to your account. As for withdrawal, it still happens in the same way that you deposited your money in the first place. Note that all withdrawals will be charged, and the company will charge you 10 per cent of your withdrawal fee when you deposit and withdraw money without betting. 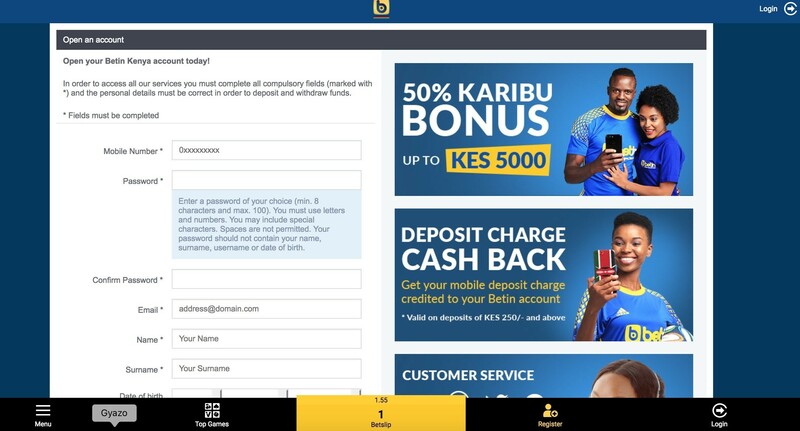 Does it cost money to register on the Betin Kenya mobile platform? No. the cost of signing up is free, and the process of registration is easy to follow – even for a complete beginner. What does the registration process involve? To register, simply visit the Betin Kenya website, and select ‘Register now’ located in the top right of the page. You will then get a registration form, which you then fill, and submit the information by clicking ‘Save’. Note that all your details must be accurate. Can I change my details afterwards? Once you click on ‘Save’, you cannot change your details. This information includes your username as well, so once you have created the account. What if my Betin Kenya mobile account has incorrect information and I want to change it? 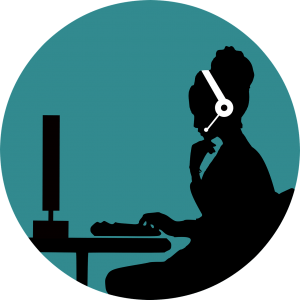 In case of such a situation occurring, make sure to contact the Customer Care services through any of the methods (email, live chat, telephone or twitter), and they will rectify any mistakes in your details. Can I have more than one account? For transparency reasons, the Betin Kenya mobile platform does not allow the opening of multiple accounts belonging to one user. 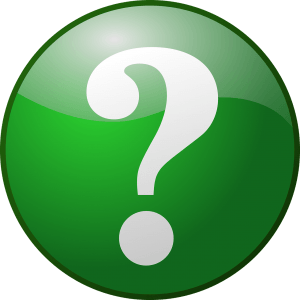 What is the minimum age for opening an account? If you are under 18 years, you are not allowed to open an account. How do I check the Terms and Conditions of Betin Kenya mobile? On the homepage of the website at the bottom corner, there is a section for the platform’s provisions, divided by products. You can access the Terms and Conditions for sports, racing and live betting as well. Can I use international cards to pay? The site does not allow the use of international cards, only Kenyan methods of payment such as Airtel Money and M-Pesa are allowed. For any details on your previous transactions, you can view them through your account statement. For any sport you choose to bet on, the minimum stake is KES 50 per bet, although there is no maximum stake (at least not strictly). What are the maximum payouts? The maximum payout you can withdraw at once is KES 70,000, while the maximum daily transaction limit you can use is KES 140,000. How can I view my bets? Click on ‘My Account’ on the main page, and go to ‘Bet List’. All the bets you have placed will be there, and you can further filter them by status and time. Any important information on bets? Note that you cannot cancel a bet once you have placed it. For this reason, make sure to confirm all the details are correct before placing a bet.